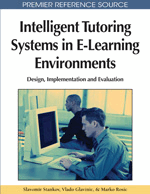 The general objectives of this study are: to analyze significant indicators for assessment of the effectiveness of Distance Learning (DL) courses; to check the extent to which such effectiveness is related to the quality of interactive processes; to examine characteristic elements of individuals’ conversations while they interact in study groups within virtual environments, with a view to contributing toward the effectiveness of DL courses; the development of a methodology for assessing the effectiveness of distance learning courses. Results confirm the importance of the context, the teacher, and learning-group variables for the effectiveness of distance courses. They also illustrate the relevance of certain speech features of students and teachers in virtual learning environments that generate conversational dynamics and contribute toward meeting the goals of DL courses. Use of information and communications technologies (ICT) and large-scale access to the worldwide web have required paradigmatic changes in the education sector. The possibility of researching an array of digital sources, of instant communication and of collaborative work, of electronic publication and of simulation is radically changing approaches to teaching and learning. It is not simply the adding of new technical media to the traditional and well-known pedagogical structure, as was the case during the audiovisual era of the 1960s and 1970s, when the pedagogical structure was altered only temporarily and superficially. Rather, it represents such a great impact on both teachers and pupils that they must re-plan both teaching and learning. As we take stock of the unexpected consequences of such upcoming changes, we are in for a shock (Petters, 2003, p. 58). It is in this context that DL is fulfilling an important role. Often, it is presented as just another modality of formal education, however, the current configuration of society requires certain specificities from educational actions that are greatly in consonance with DL. The need for continuing education, for permanent updating of information and for production of new knowledge requires flexible and dynamic educational processes that breach the difficulties imposed by barriers of time and space. This is the field of DL, and the learning/teaching methodologies of DL seamlessly fulfill the needs of contemporary society. Learning processes are the kernel of education, and learning is related to the way in which people relate among themselves and with their environment. Beyond the elementary sensorial perceptions and reflexes, learning is a component of higher mental processes that are mediated by tools and signals. Thus, to comprehend the dynamics of learning processes we must first obtain an understanding of their components: individuals, environment or context, and mediation. We realize that DL has a characteristic distinctiveness in relation to the mediation component. In view of the need to overcome barriers of time and distance, DL makes intensive use of ICT resources to promote interactive processes. The building of effective learning environments is a matter of human relations. It also depends upon the emotional input invested in such relations. Thus, knowing how to perform in virtual environments with the aim of creating the necessary climate for stimulating learning processes is of utmost importance. All these challenges motivated this research. We need to deepen our knowledge on characteristics that DL has assumed with the advent of the information age and the emergence of networks. Developing knowledge on the effective use of DL courses represents yet another step along this path. Evaluation of the effectiveness of distance learning courses and the dynamics of interactive learning processes are the issues stated in the title of this paper. They convey efforts to comprehend the phenomenon and seek to identify a methodology that combines both evaluation of processes and of results. develop a methodology for evaluating the effectiveness of distance-learning courses. Over time, publications on distance learning have accompanied the dissemination of DL practices throughout the world. Such studies have sought to deal with the various dimensions involved in this modality of education. Most are papers that describe case studies and present models, development of theories, etc.